Gov. 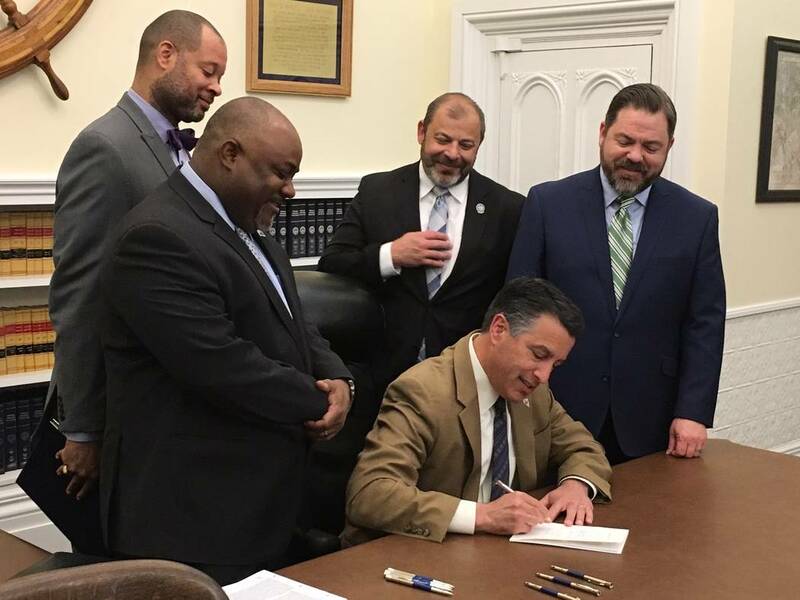 Brian Sandoval vetoed a bill at the end of May that would have reversed changes to prevailing wage legislation passed by the Republican-led statehouse during the 2015 legislative session. Assembly Bill 154 would have required the Clark County School District and other school districts across the state, along with the Nevada System of Higher Education, to pay 100 percent of the prevailing wage rate on school construction projects. Changes made during the 2015 legislative session only required those entities to pay 90 percent of the prevailing wage rate —which is set by the Office of the Labor Commissioner through an annual survey of contractors. Wage rates vary by county and position for certain projects by the response. Stamford, Connecticut-based Waypoint Residential LLC, a real estate investment firm that partners with investors to acquire assets in the multifamily sector, has launched an affiliate company to enter the student housing market in Las Vegas and other parts of the country. Waypoint’s new affiliate, Waypoint Campus Housing LLC, has made four acquisitions, including Rebel Place at 3896 Swenson St., near the University of Nevada, Las Vegas. Property records show Blue Vista Capital Management Las Vegas Swenson PL LLC sold the property in April for $17.5 million to Waypoint. The group is planning several capital improvements at the property, including upgrades to the interior, exterior and common areas of the complex on Swenson Street, and the others across the U.S.
Waypoint’s new affiliate has purchased three other properties across the U.S. in recent months: High View Place, near the University of Texas at San Antonio; Maverick Place, near the University of Texas at Arlington; and Spring Place, near the University of North Carolina at Greensboro. Waypoint Campus Housing has closed on four properties, with one more location closing in June. In total, the five properties comprise 2,638 beds, which were acquired for a total of $102 million. Since Waypoint entered the student housing sector in 2016, purchasing three properties at that time, the company has acquired 3,760 beds. Together, Waypoint has spent roughly $160 million. TSK Architects, located along Water Street in downtown Henderson, is celebrating the completion of the first phase on its 20,000-square-foot mixed-use project in the area. TSK is showcasing its success, the completion of a 6,500-square-foot building at 314 S. Water St., where it is now headquartered, on June 8. The Henderson Chamber of Commerce will hold a ribbon-cutting at the location at 4 p.m., and TSK will hold an open house until 8 p.m.
Windom Kimsey, principal and CEO of TSK, said Water Street is experiencing a “rebirth,” which is being spurred by the city’s redevelopment agency, the Henderson Chamber of Commerce and local business owners and residents. “This project will help to transform the quarter-mile stretch into a vibrant, walkable, culturally rich urban neighborhood with the addition of multifamily housing, a community-oriented public market and eclectic local retail, dining and entertainment establishments,” Kimsey said. The mixed-use project contains plans for office and retail space, along with residential opportunities. Four Turnberry Place, one of four luxury high-rise condominium towers within Turnberry Place on Paradise Road, just south of Karen Avenue, was awarded a Four Green Globes certification — in recognition of green building best practices for Four Turnberry’s tower and common areas. Four Turnberry Place is the only multifamily building west of the Mississippi River that has earned the certification. The Four Green Globes’ certification is the highest honor given by the Green Building Initiative — the only provider in the U.S. of the Green Globes certification program. The program is similar to the Leadership in Energy and Environmental Design certification. The assessment used for the Green Globes certification is based on a 1,000-point system for green building best practices across several areas: “energy and water use resources; emissions, effluents and pollution controls indoor environment; and environmental management systems,” according to a press release from GBI. To get the highest achievement of Four Green Globes, a building must be more than 85 percent compliant with Green Globes’ criteria.